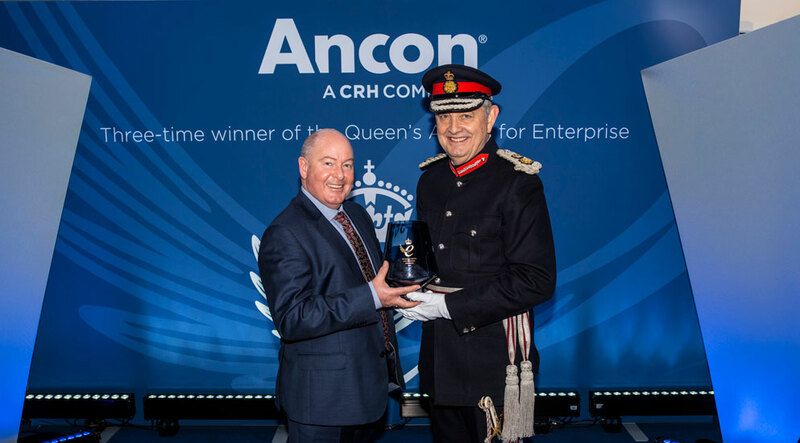 ANCON has officially received the 2018 Queen’s Award for Enterprise from the Lord-Lieutenant of South Yorkshire, Mr Andrew Coombe, on behalf of Her Majesty the Queen. This is the third time the company has been honoured in this prestigious award scheme that acknowledges outstanding achievements by UK businesses. Ancon’s 2018 Innovation award follows its Queen’s Awards for International Trade in 2015 and Innovation in 2012. 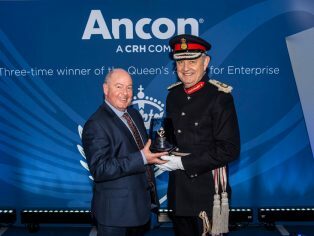 The award was received on behalf of Ancon by company director Peter McDermott at a special ceremony attended by 36 long-serving employees representing all areas of the business from sales and marketing to production and accounts.